Paris, April 10, 2018 – Valeo has won two 2018 Automotive News PACE (Premier Automotive Suppliers' Contribution to Excellence) Awards, for its SCALA® laser scanner and its new natural refrigerant air-conditioning system. Valeo is the only company to win two PACE awards at the 2018 ceremony. SCALA® is the only mass-produced laser scanner on the automotive market today. Already available on a first vehicle model, it is a key enabler for highly automated driving. It offers a wide field of vision (145°) and the ability to detect stationary as well as moving objects up to a distance of 150 meters in any weather, both day and night. A second PACE Award went to the Valeo R-744 air-conditioning system which works without chemical refrigerants. This natural refrigerant air-conditioning solution is a world first. The technology is already being offered as an option on two vehicle models. 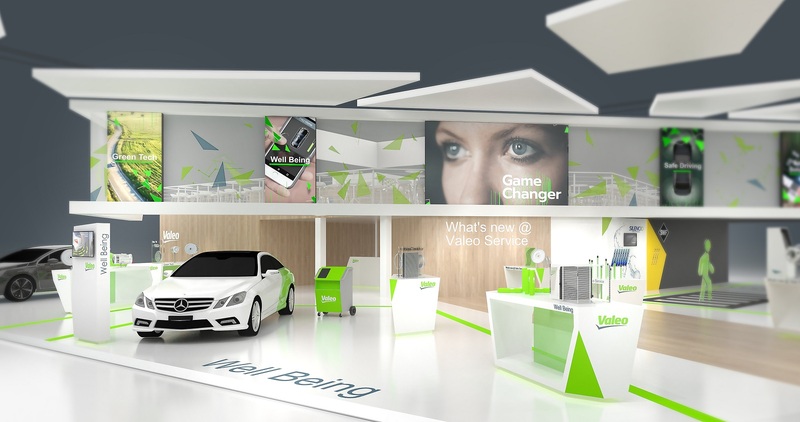 Compared with traditional systems, Valeo’s natural refrigerant solution can extend electric vehicle autonomy by up to 30%, in temperatures as low as -20°C. Valeo also received a Finalist award for its 48V belt-driven starter-alternator, the most economical method available today for automakers to introduce hybrid technology on their vehicles. Valeo accepted the honors at the 2018 Automotive News PACE Awards ceremony on April 9, at the Max M. Fisher Music Center in Detroit. For more than 20 years, the Automotive News PACE Awards have honored superior innovation, technological advancement and business performance among automotive suppliers. This prestigious award is recognized around the world as the industry benchmark for innovation. Valeo has won several PACE Awards over the past few years: in 2016 for its Electric Supercharger and Water-cooled Condenser, 2015 for its EG Efficiency Alternator, 2014 for its Back-Over Protection System, 2013 for its Air Intake Module, 2012 for its AquaBlade®/VisioBlade® wiper system; 2008 for its Park4U® park assist system; 2007 for its Multi-Beam Radar blind spot detection system; 2006 for its StARS micro-hybrid system; and 2005 for its LaneVue™ lane departure warning system.